The Suburban Group began as a real estate acquisition, disposition and property management company in 1984. Rick Harmon, its founder and CEO, is widely credited with pioneering the use of mortgage financing of real estate currently held in a probate estate, a trust, or by a conservator or guardian. Since 1990, we have focused exclusively on serving attorneys, professional fiduciaries, other members of the professional community, and their probate and trust clients. Borrowers may be reassured that, unlike banks and typical mortgage brokers, our only business is financing and resolving probate and trust real estate problems. 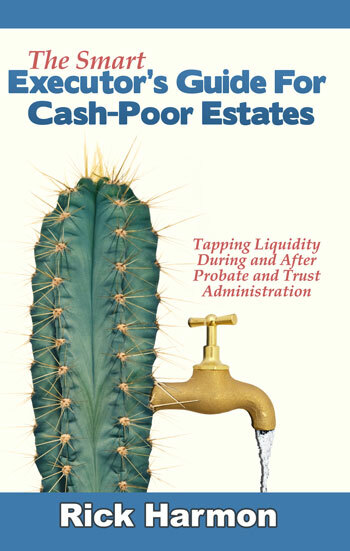 If you have experienced financing problems concerning your trust or estate property in the past, you have come to the right place for a solution. However, we are not attorneys; we are a financial resource and part of the professional team.